Last weekend, a family in Washington state captured this crab whose markings 100% resemble a sharpie drawing of former head of al-Qaeda, Osama bin Laden. This image was taken from a video the family shot as they unloaded a pot of crab into their boat. The radio station that first received the hot tip about the crab that looks exactly like Osama bin Laden, 97.3 KIRO FM, is trying to sell it as a Jesus look alike. Unfortunately for KIRO FM, no one is buying it. 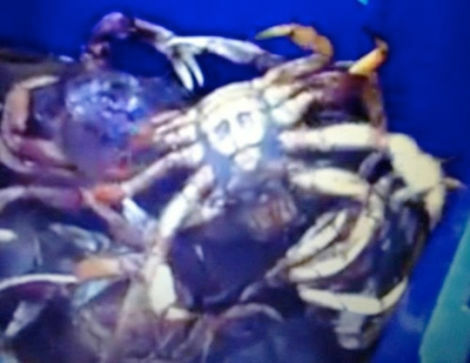 If ever a crab has looked not like Jesus and instead like Osama bin Laden, it is this crab. Curiously, much of the Osama crab's introductory post on the KIRO FM website focuses not on the crab that looks exactly like one of the most infamous terrorists in history, but rather on the family who discovered it: The Canfields. The Canfields, reporter (and family friend) Chris Sullivan explains in his post, are Catholics. The Canfields are not claiming this is the face of Jesus. The Canfields aren't making any claims. The Canfields just wanted to share an interesting photo. The Canfields, in their own (and Sullivan's) words, are "'not that sophisticated' to come up with a hoax." The Canfields are people to be trusted. The Canfields' sons play baseball. 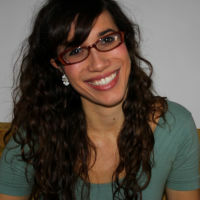 The Canfields consulted with one another before emailing the image to friends, so astonished were they by the markings. The Canfields did not draw the face on the crab and drop it in the pot. Because the crab was female and, therefore, not legal to keep, the Canfields tossed it back into the water as they sorted through their catch. Conveniently for the charlatan Canfield family, this means "there is no crab to study or discredit." Regardless of whether or not you trust those dodgy Canfields, there's one point on which we can all agree: No Jesus in that crab. It's all bin Laden.